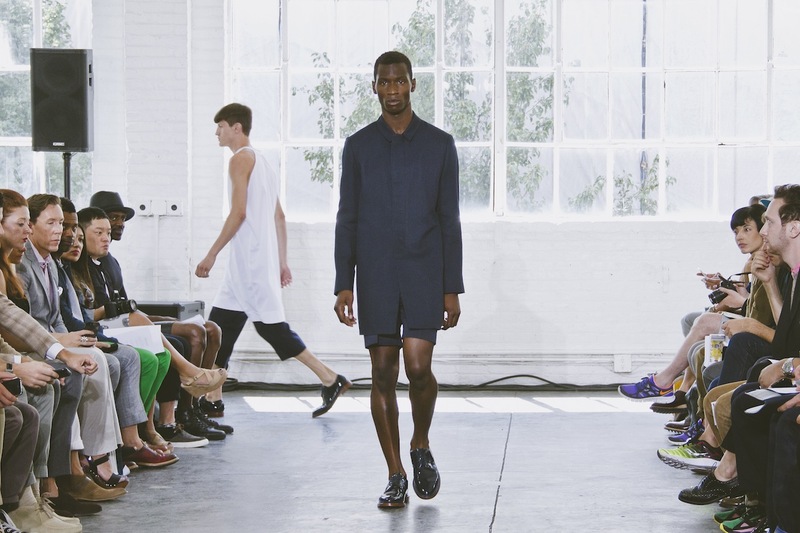 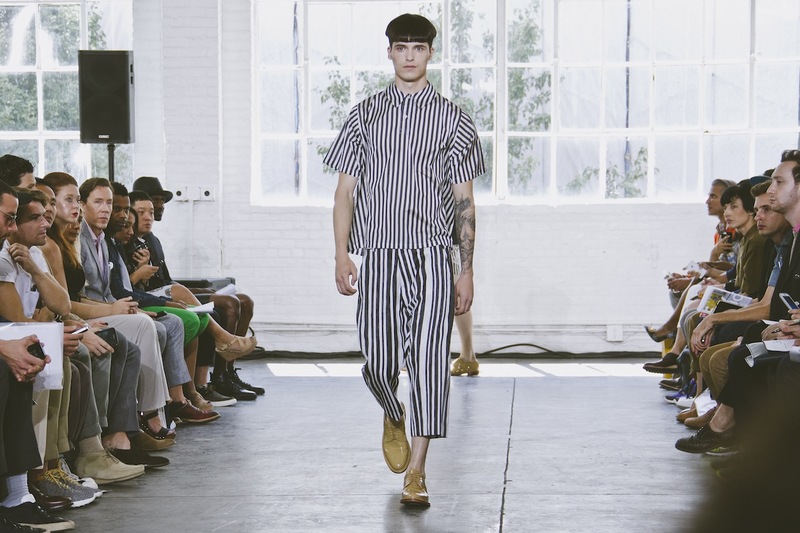 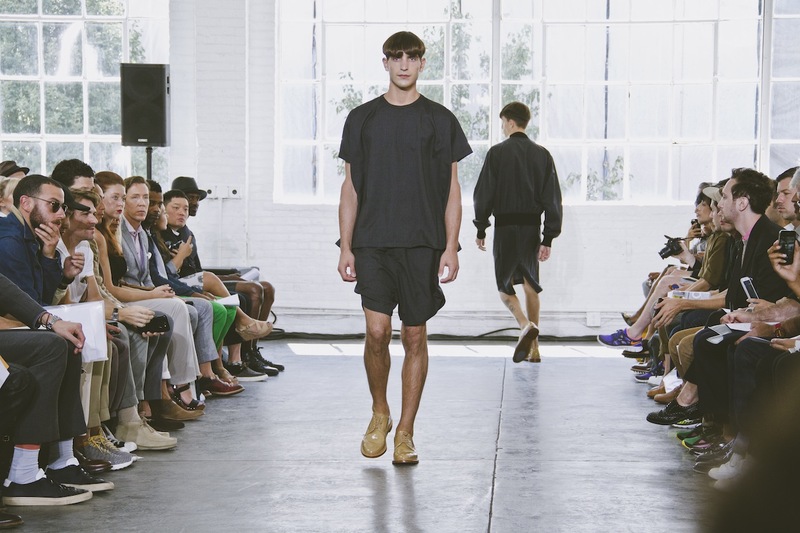 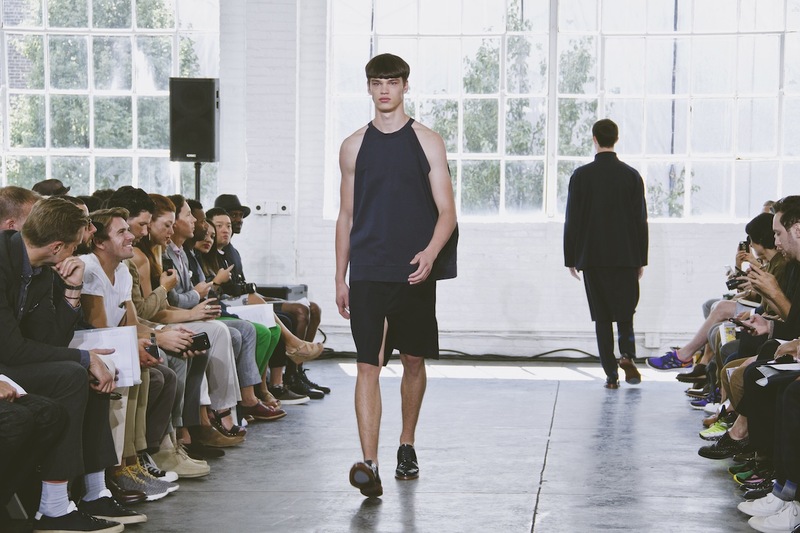 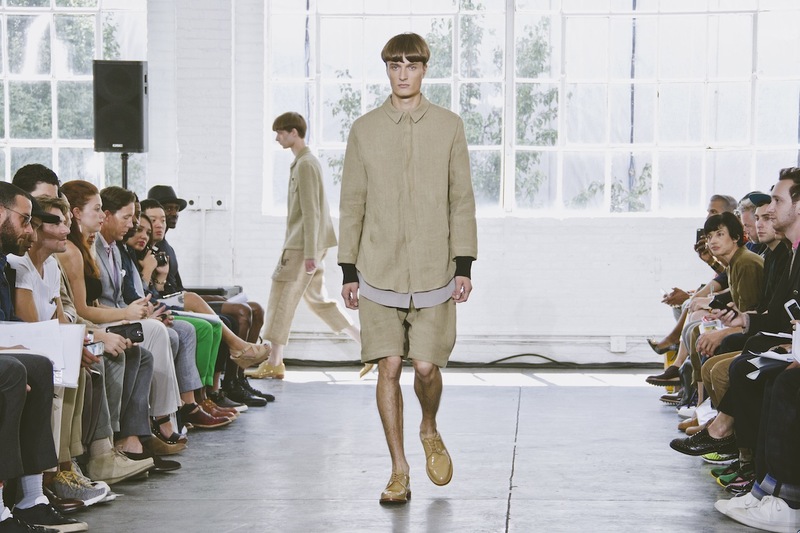 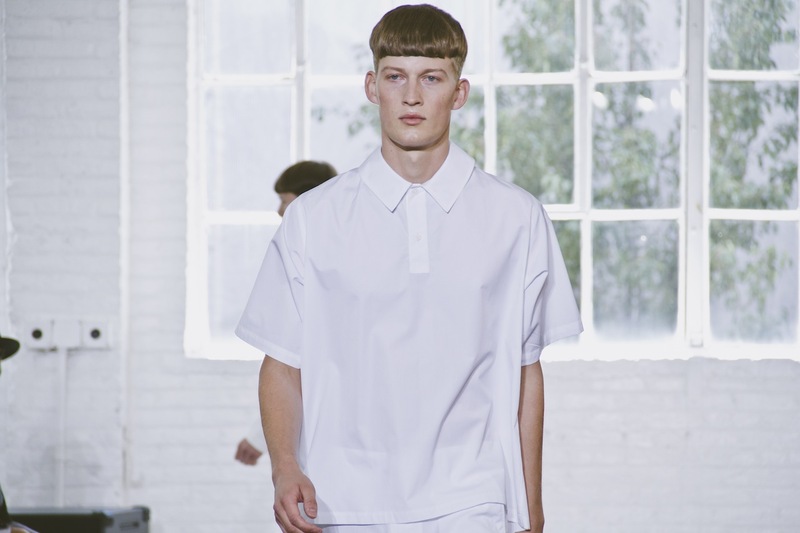 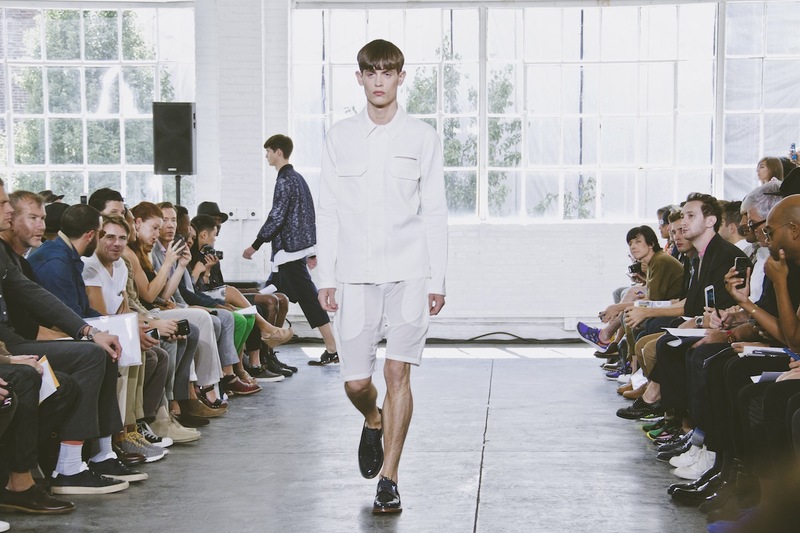 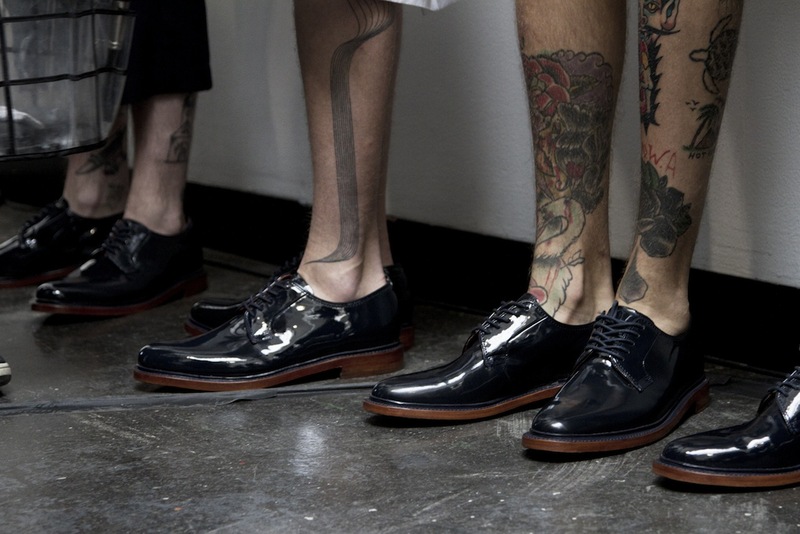 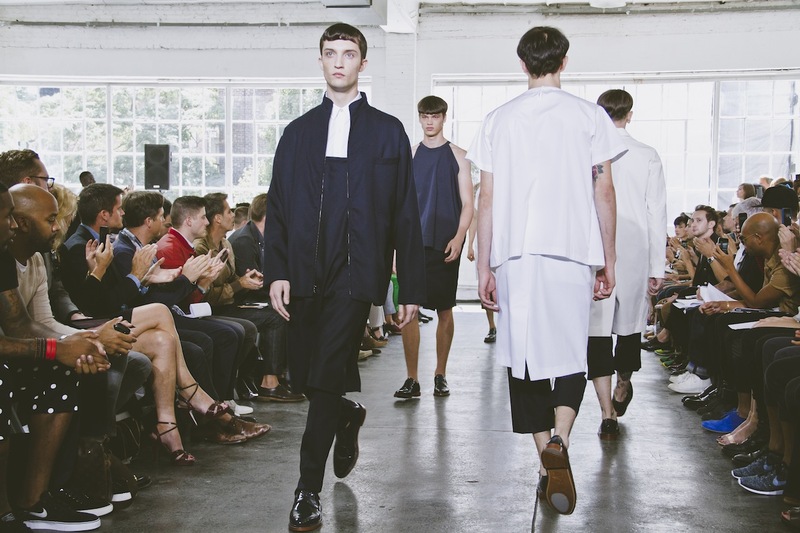 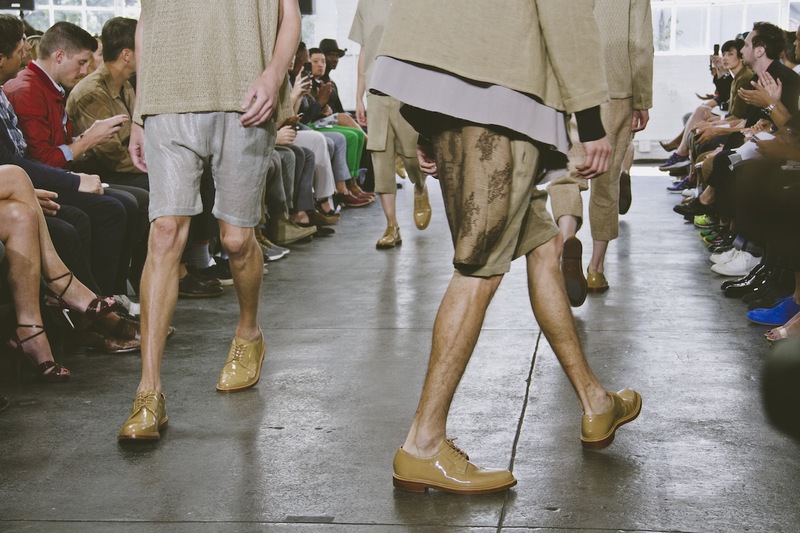 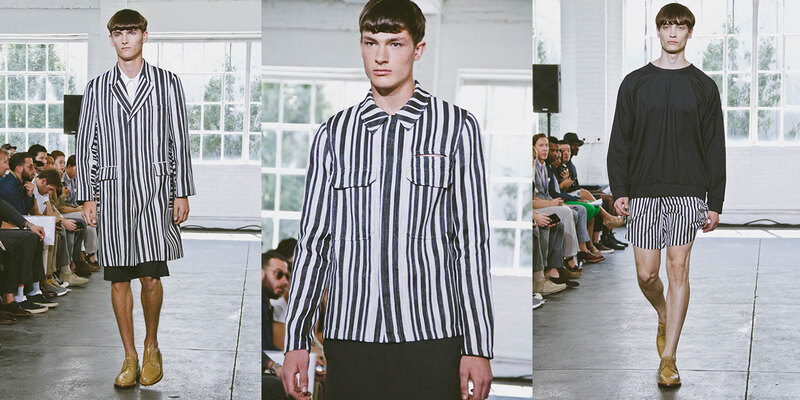 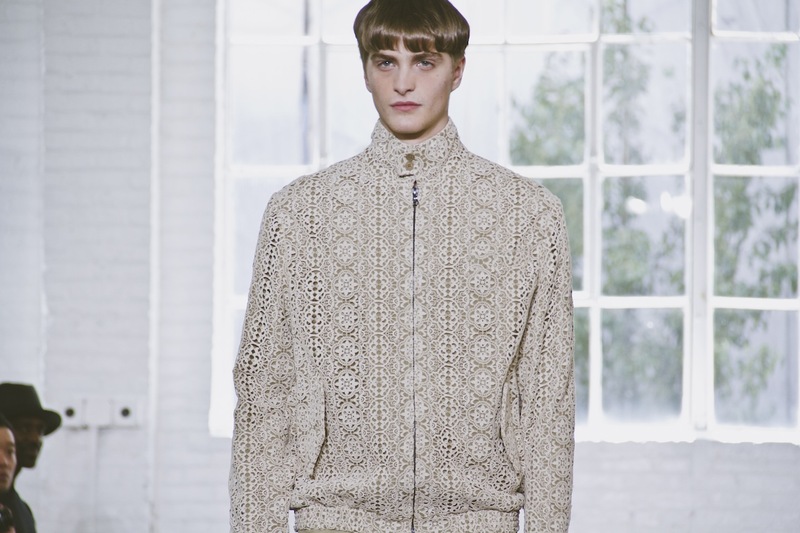 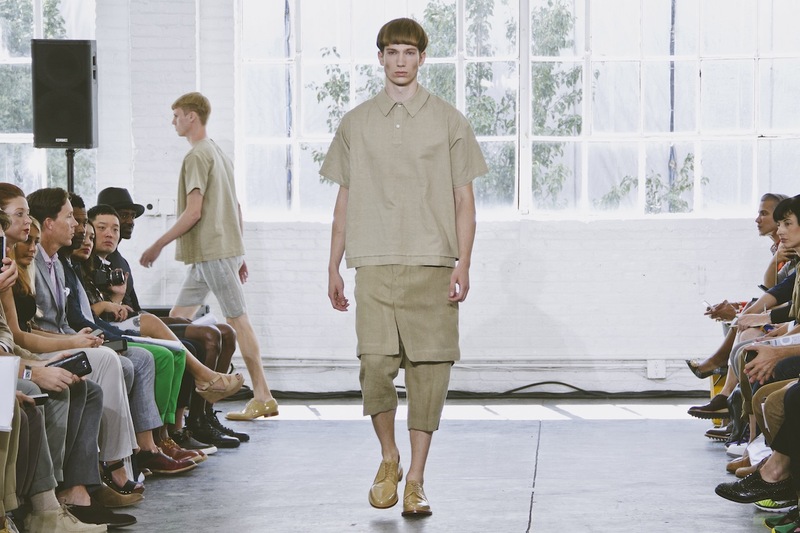 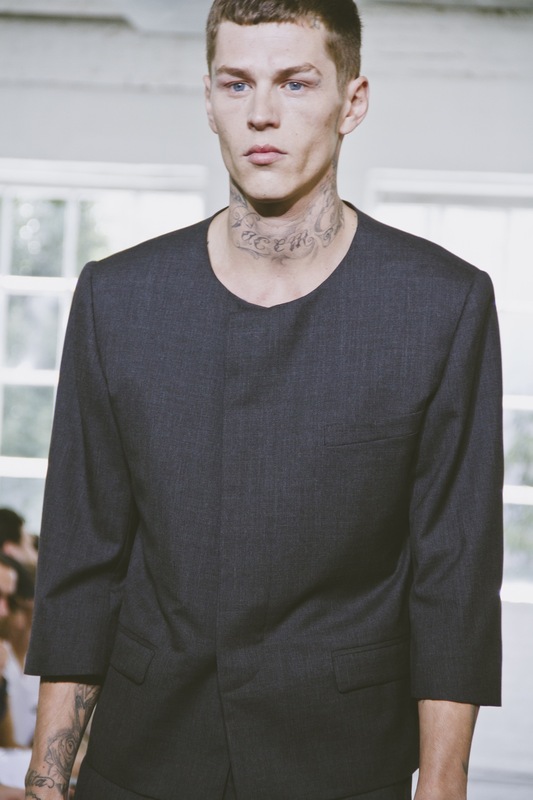 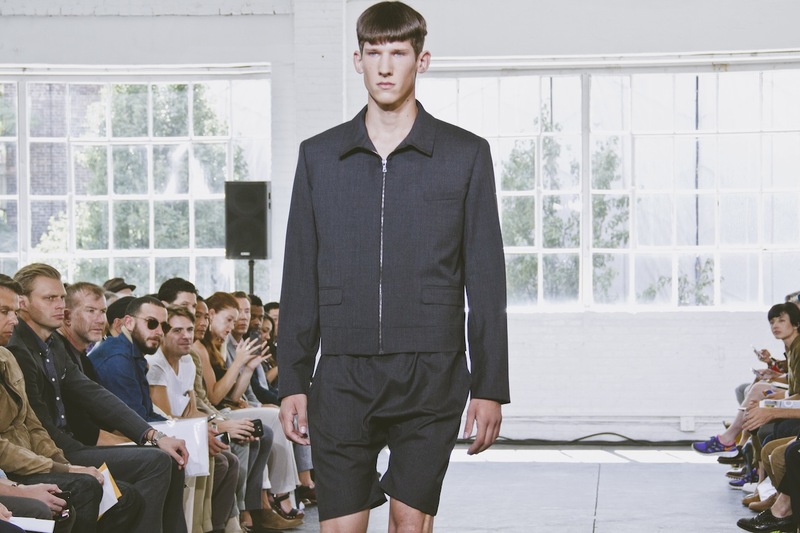 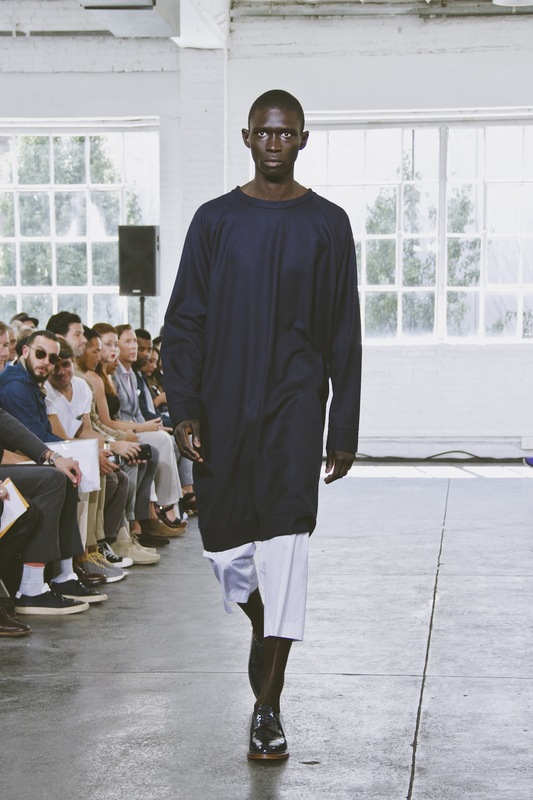 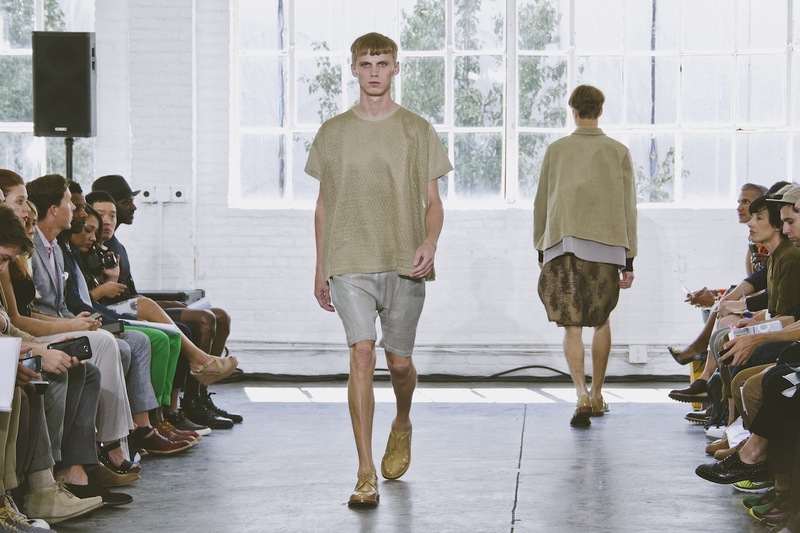 There was a certain cleanliness to Duckie Brown’s Spring 2014 collection, which eschewed the designers Steven Cox and Daniel Silver’s earlier penchant for loud prints and colors for a concise study of shape and proportion in a clean palette of mostly black and white and gray. 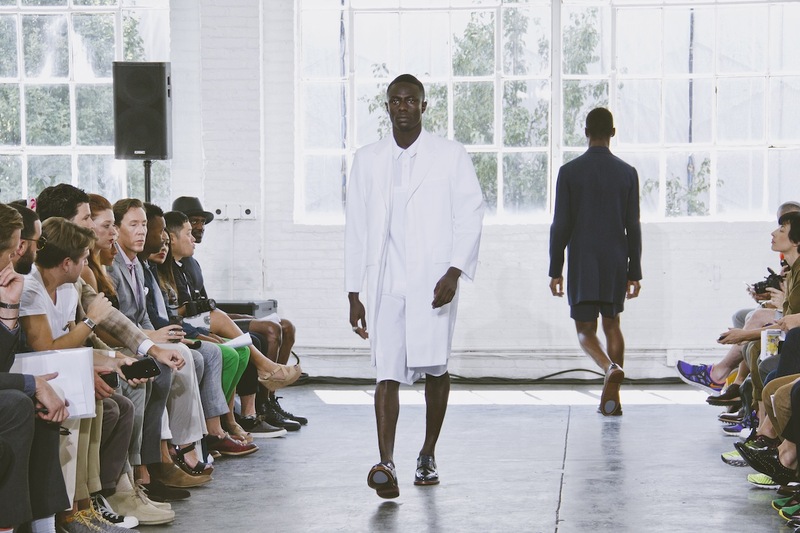 Adonis Bosso’s smooth long overcoat had a timeless appeal, as did Robert Laby’s cream polo shirt, which had outsize proportions that felt fresh and very modern. 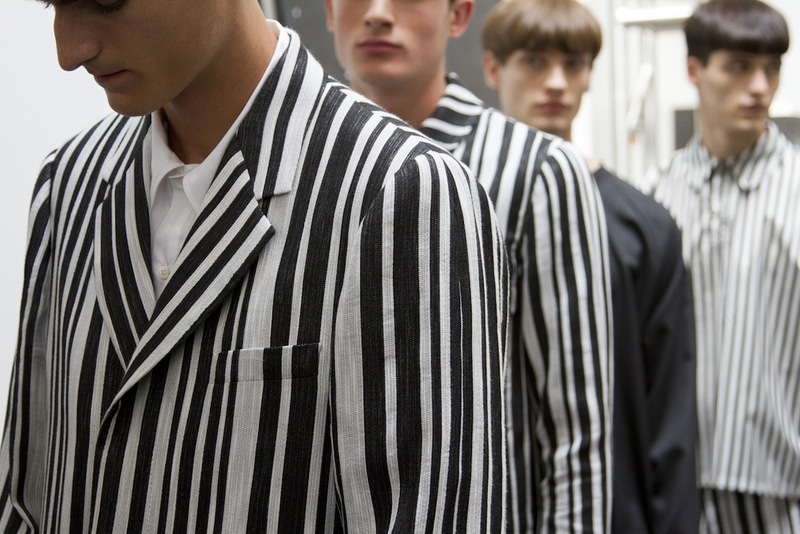 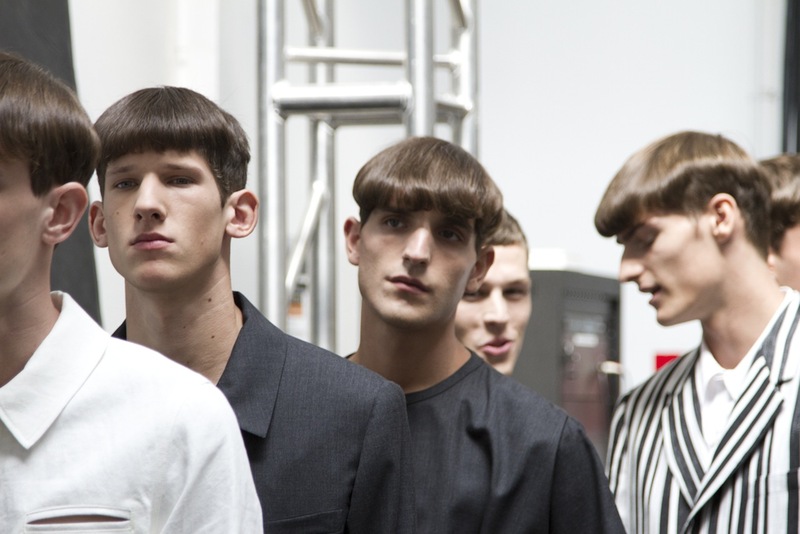 A strong graphic vision was introduced with the barcode stripes that ran up Alexander Beck’s coat and Duncan Proctor’s jacket, while Cox and Silver tipped their hat at their gender-bending proclivities with a pair of halterneck tunics. 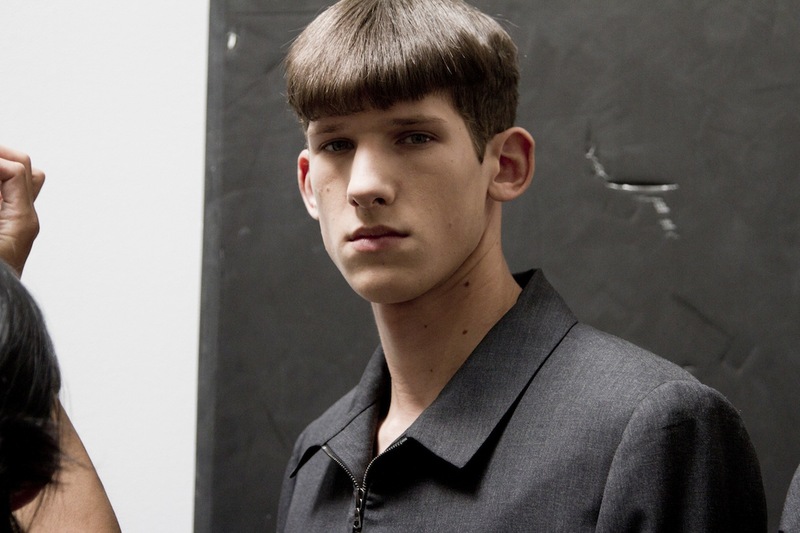 Many of the pieces had an aesthetic purity, with extraneous details stripped away for a minimalist look that still pushed the boundaries. 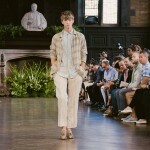 Miles Langford’s varsity jacket was a perfect example, free of all decoration, but with widened sleeves that added a twist, especially when paired with shorts that bordered on sheer. 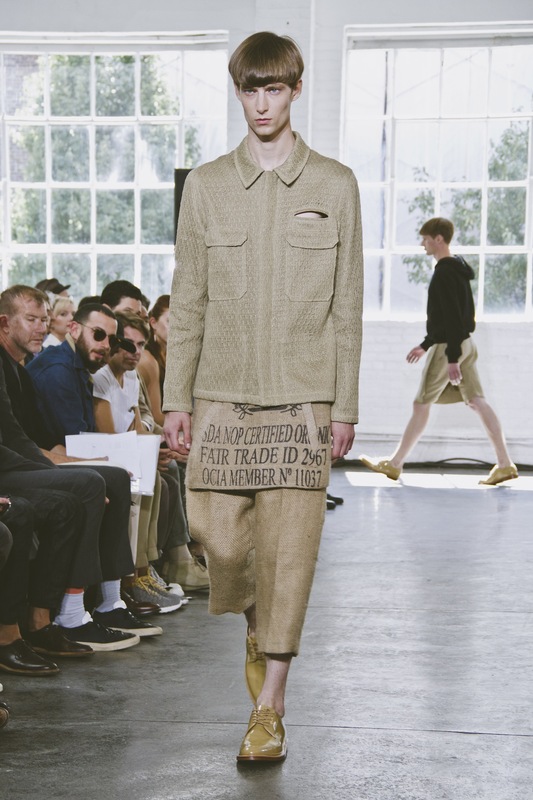 The pair pushed a bit more outré with their final looks, including a selection of intricately patterned jackets and several items that had a engagingly nubby texture, as in Collin Tennant’s wide tee worn over shimmery silver shorts. 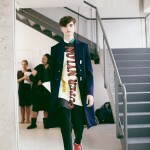 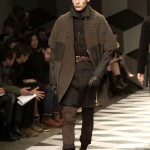 It was a fitting conclusion that closed out a determined show with some appropriately imaginative new ideas.